Pier Jam and Cream recently announced the second in their series of all-day summer parties, taking place on Blackpool Pier. 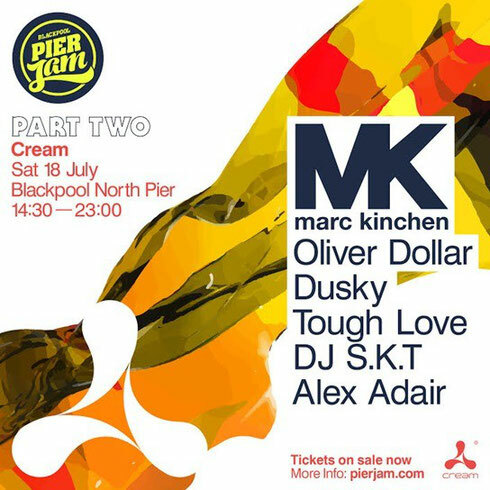 On Saturday 18 July, MK takes centre stage with other headliners such as Oliver Dollar, Dusky, Tough Love, DJ SKT and Alex Adair ensuring that Pier Jam continues with its aim to deliver the best all day parties for real house music fans this summer. With two outdoor and two indoor arenas, a possible 3500 clubbers will enjoy dance music from 2.30pm until 11pm, while soaking up the sea air and possible sunshine vibes. The first Pier Jam event has already sold out the early bird allocation, so expectations are that Pier Jam Part 2 should popular. From the acts confirmed so far….main stage headliner, MK needs little introduction; responsible for creating some of the defining sounds and biggest tracks of early house, he is now influencing a new generation with his stripped back style. Berlin’s Oliver Dollar has been building a rep as both DJ and producer, delivering funked up house grooves. 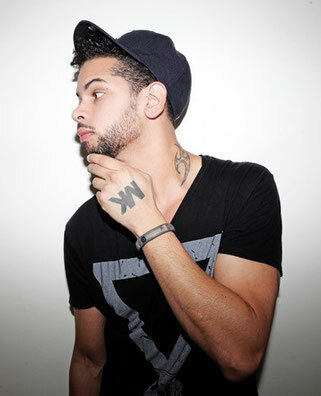 Like MK, he is one of the few producers to have enjoyed commercial success while maintaining his dancefloor credibility. Dusky will step up with their eclectic approach to house music, to deliver a set to seriously move any crowd. In just a few short years, they have possibly established themselves as leaders of the UK underground. London duo Tough Love saw their track ‘So Freakin’ Tight’ picked up by Island Records earlier this year. It flew up the charts and possibly remains one of the biggest tracks around. 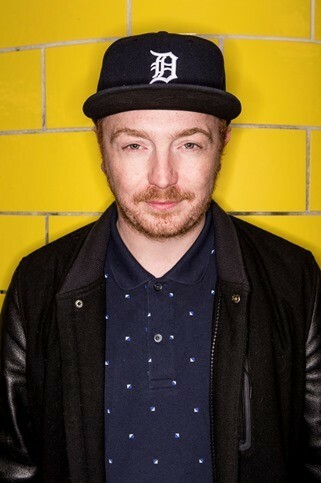 DJ S.K.T is possibly one of the fastest rising names in dance music, tying together deep and soulful house with garage, experimental bass and more. Also announced was Alex Adair, a 22-year old,UK DJ/producer who is fresh from producing the house track, ‘Make Me Feel Better’. I really like what you guys are up too. Such clever work and coverage! Keep up the wonderful works guys I've you guys to our blogroll. Hi there, You've done a fantastic job. I will definitely digg it and personally recommend to my friends. I'm confident they will be benefited from this site. Hello to every one, because I am in fact eager of reading this webpage's post to be updated daily. It carries pleasant stuff.